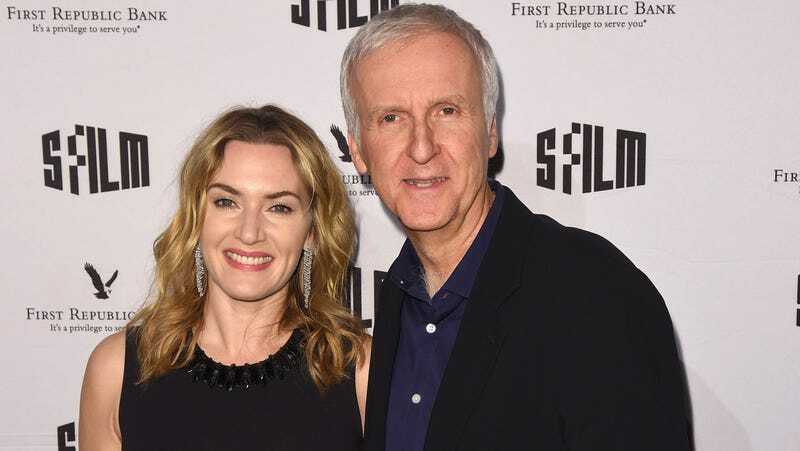 Actress Kate Winslet has joined the cast of the upcoming James Cameron-directed Avatar sequels, and filming has just wrapped for the second and third installations of the franchise. As free-diver Ronal of the Metkayina tribe on Pandora, Winslet got the opportunity to add an item to the “Special Skills” section on her resume. Now, next to “woman who met her current husband at a house fire,”she can add “woman who can hold her breath for seven whole minutes.” That’s something that would’ve come in handy while she was adding “cruise ship door hog” to her CV. IndieWire heard from Lightstorm Entertainment producer Jon Landau: “When you’re doing performance capture in a tank, you can’t be in scuba gear because the bubbles will distract,” he says. “Not only that but we can’t record what the mouth would be doing. So we had to teach everybody how to free breath hold.” So they hired world champion free-diver Kirk Krach to train the cast, and Winslet and Sigourney Weaver learned how to hold their breath underwater for seven and four minutes, respectively. Landau adds, “And we did the breath holding ... in the open ocean. We also did a night dive with manta rays. And there’s nothing more Pandoran that that experience of seeing these sea creatures that look otherworldly coming out of the dark and swimming by you at night.” I mean, yeah. Obviously. So Pandoran. Returning for the Avatar sequels are Sam Worthington, Zoe Saldana, Joel David Moore, Dileep Rao, Stephen Lang, Matt Gerald, and Sigourney Weaver. Cliff Curtis and Oona Chaplin have joined the sequels, alongside Winslet. 20th Century Fox and Lightstorm have announced the release date for Avatar 2 as December 18, 2020. Avatar 3 comes to theaters on December 17, 2021, and Avatar 4 and Avatar 5 will be released on December 20, 2024, and December 19, 2025, with Cameron’s caveat that they won’t make 4 and 5 if 2 and 3 aren’t successful. That being said, the first Avatar film remains the highest-grossing film worldwide, with over $2.7 billion in box office grosses. Titanic was previously the record holder with $2.186 billion worldwide, and both movies are James Cameron joints. So, if you’re hoping to live in an Avatar-free future, don’t hold your breath.